Today we celebrate our Independence Day in India. All over our vast country there will be celebrations to mark 67 years of Independence. To mark the happy occasion, I share with you my attempt at food art with the Independcnece Day theme. Keeping the colours of our Indian National Flag in mind, we have on the left Carrot Chutney, Curds/Raita, and Mint & Coriander Chutney. 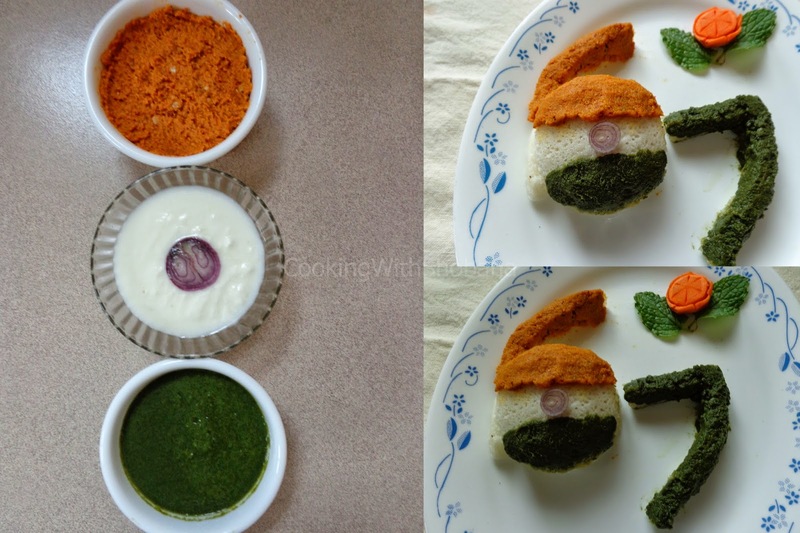 The "67" to celebrate 67 years of Independence is made of idlis! These have been coated , once again with the carrot chutney and the mint chutney. 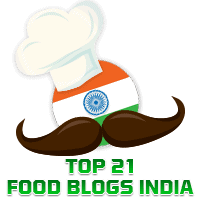 We also have a small, cute onion ring forming the chakra in the centre of our flag.